Heidi Wrights is the Financial Center Community Manager for PSECU’s downtown State College location. She has been in her current role for 3 years and before that, served as the Business Development Manager for Central Pennsylvania. During that time, she found her love for Happy Valley. Prior to returning to PSECU in 2014, she spent 6 years as a Recruiter and Academic Advisor at Eastern University. Today, she loves her job for several reasons; one of which is leading and coaching her student interns and giving them the same opportunity that PSECU gave to her while she attended college. 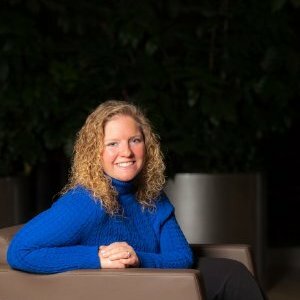 She is an active member of Downtown State College Rotary Club, a 2017 LCC alum, serves on local nonprofit boards and committees and is an active member of the Chamber of Business and Industry of Centre County where she developed a six-month mentorship program that provides an opportunity for professional development. Heidi and her husband live in State College and are parents of 2 fur-children. Their hobbies include attending various shows and events, traveling, and spending time with family and friends.